Imagine if everything from your buyer’s digital journey — every solution built, budget calculated, configuration saved, self assessment taken — was seamlessly and contextually available to your salespeople. That’s sales empowerment. 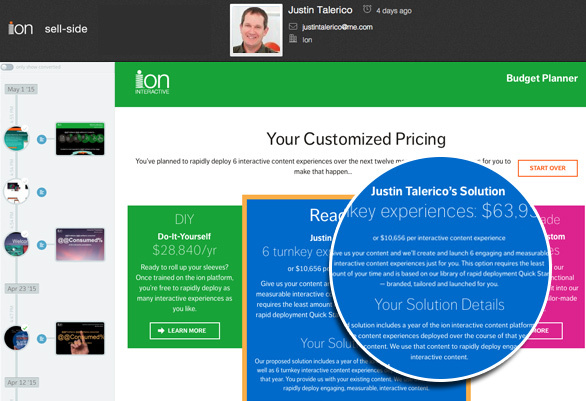 That’s ion’s Sell-Side solution. With Sell-Side in the mix, momentum is gained rather than lost at the critical transition from digital marketing to personal selling. 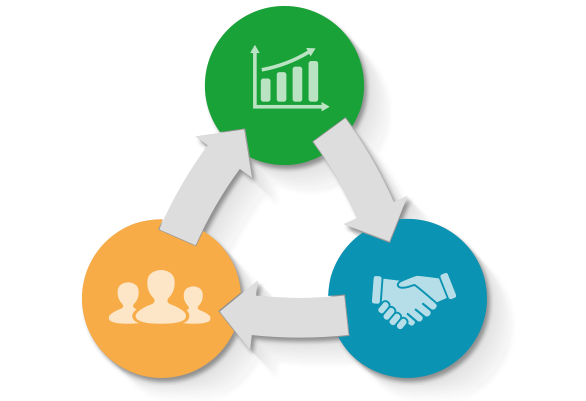 Marketing, sales and buyer needs are aligned and coordinated. Everyone meets at the buyer’s point of interest. And everyone wins. 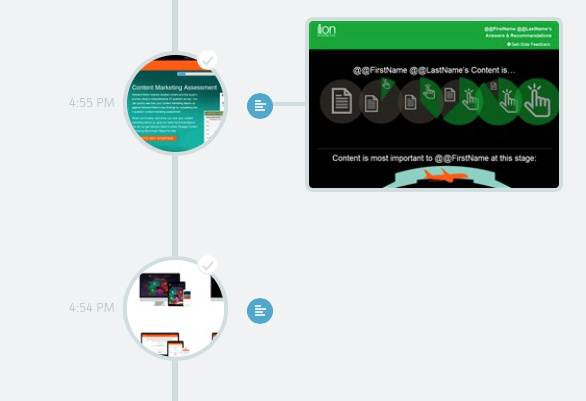 From the CRM, a salesperson links instantly to an ion Sell-Side visual timeline of their buyer’s interactive journey. From there, they can click into sales-specific views of their lead’s solutions, calculations, configurations, self assessments and more. Those Sell-Side Experiences are marketer-made and can be simple results pages or full-on, dynamic, consultative, sales-specific coaching environments. Armed with every bit of relevant information from the buyer’s interactive journey, the salesperson doesn’t miss a beat — picking up the personal dialogue right where the digital dialogue left off. Little is lost in translation. Costly rehashing is in the rearview mirror. And buyers feel rewarded for their digital journey. 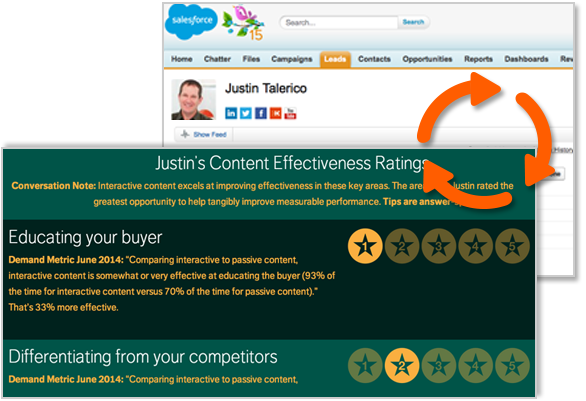 See Sell-Side like a native — from sales’ perspective. Ideas to inspire your use of Sell-Side. See how marketers create Sell-Side Experiences.